We have been home from Ghana for almost three months and I still have not taken the time to write about our journey and travels. So here it goes! It seems most birth stories are a multi-post presentation, so I figure it’s okay for mine to be as well. Consider this your fair warning. Our travels had a lot of twists and turns, no dramatic effect has been added to enhance the story. 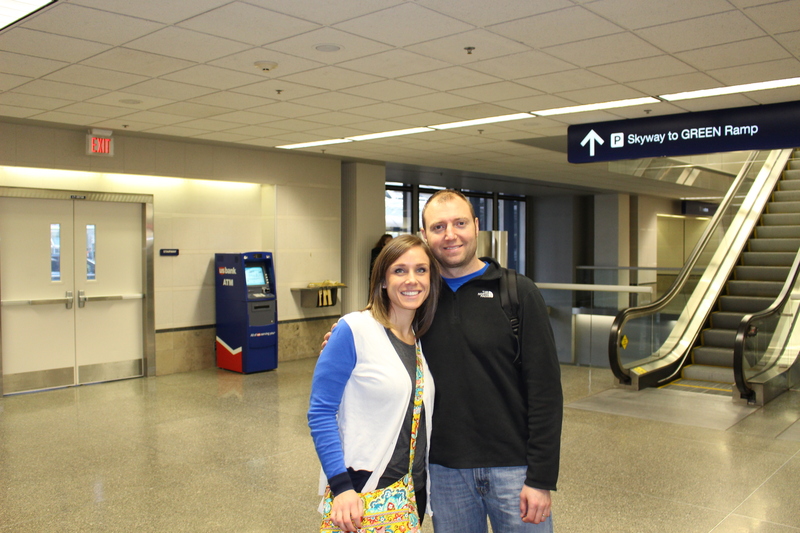 We booked our flight to Ghana two weeks before we left. A week later I finished my position in the working world and the following week was Christmas. Needless to say it was a whirlwind getting the house ready, shopping for last minute Christmas gifts and travel items and the suitcases packed! The list extraordinaire in me was in full force to make sure every t crossed and every i dotted. Add to that multiple, multiple double checking to ensure nothing was forgotten. I was well prepared for any circumstance and had the proper food, medication, first aid and clothing needed to respond. So I thought, that is if all of our luggage would arrive. Our flight left the day after Christmas with multiple connections in Toronto and Frankfurt. With so much busyness in getting ready I never really had a lot of time to just think about what was happening and take it all in. Then it hit me getting ready to leave for the airport, I became a ball of nerves. I instantly felt my stomach tie up in knots and was just hoping I wouldn’t need to use the complimentary small brown bags provided on the plane. So many thoughts and emotions. It all seemed surreal. I can’t believe I am flying to Africa! Children we have prayed for for years. A dream we dreamt and often wondered if it would ever happen. Now all becoming a reality as we boarded our first flight. Leaving as a family of 2, but soon a united family of 4. Everything went smoothly with our first flight. Our second flight had a slight hour delay after they called us back from the runway to fix the air conditioner. I was just glad we made it to Frankfurt on time. We managed our way through customs, halfway awake and severely red-eyed. Anxiously waiting to board our flight to Ghana. As we boarded the plane I realized someone was already in my seat. A tall European man standing next to my seat asked if I was suppose to be sitting there. He then informed me that he was with the police and they had a prisoner on board who happened to be occupying my place! I slightly chuckled thinking no way would they be transferring a prisoner on a full passenger flight!! Although I was only partly coherent from lack of sleep, I thought for sure he was joking. He didn’t chuckle back and was all business ushering my husband and I to a seat directly across the aisle from the prisoner. Try not to panic, breathe and quickly fall asleep to avoid thoughts of the worse case scenario!! Everyone was seated and the door was closed. We were then informed there would be a slight delay due to the need to de-ice the plane. Well the delay soon became one hour, two hours, three hours. All while sitting right next to a prisoner! Of course with each hour that went by I just prayed that our driver at the airport would some how be miraculously waiting for us at 1:00am. Even though I had no way of communicating the delay to him. After three hours of being stuck on the plane, the pilot then informed us our flight may soon be cancelled. At this point I thought how can this get any worse. They cannot cancel this flight!! We needed to get to Ghana! We were scheduled to meet the boys the next day and had an appointment at the embassy the following day. No time for error or for our flight to be cancelled. Finally, after FOUR hours!! Four long hours sitting next to a prisoner, our plane was FINALLY de-iced! We were on our way to Ghana, thank you Jesus!!! Haha! Sorry and I may not have time to type the rest until after Easter! It definitely made the journey more exciting and it’s something to laugh about now! If I knew ahead of time we were going to be sitting there for 4 hours, I probably would have panicked! Thankfully I was able to sleep for a good part of it and of course a lot of prayer!! Hopefully he was being imprisoned for something like money-laundering? 😉 Now you have a great cocktail party story!